His Students Had Just ONE Request...and This Teacher Answered in an EPIC Way! His Students Had Just ONE Request…and This Teacher Answered in an EPIC Way! Atlanta math teacher and school founder Ron Clark of Atlanta’s Ron Clark Academy has made the rounds in the media before because of his unique teaching style — he’s a Global Teacher Prize finalist and, according to Time, he’s even been interviewed by Oprah — but this time he’s a star on SOCIAL media, just for being a super-fun teacher! 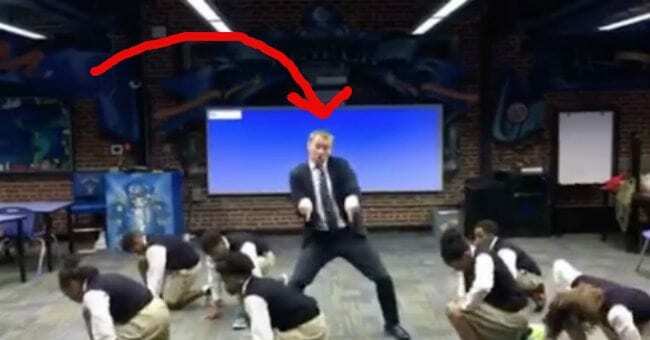 Over the Ron Clark Academy’s winter break, he started getting messages from some of his students asking him if they could teach him some dance moves for a video dance challenge. He agreed, and on January 3, he and the students got their dance on at the school and filmed their viral video. I love Clark’s willingness to get out of his comfort zone with his students! 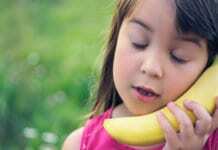 I am sure it’s something they will remember forever. And I sure hope they win! Previous articleHis Mama Says One Word That Cracks This Little Guy Up, and It’s the BEST 30 Seconds of Your Day!